On this page, you can purchase pain relief for only a buck! 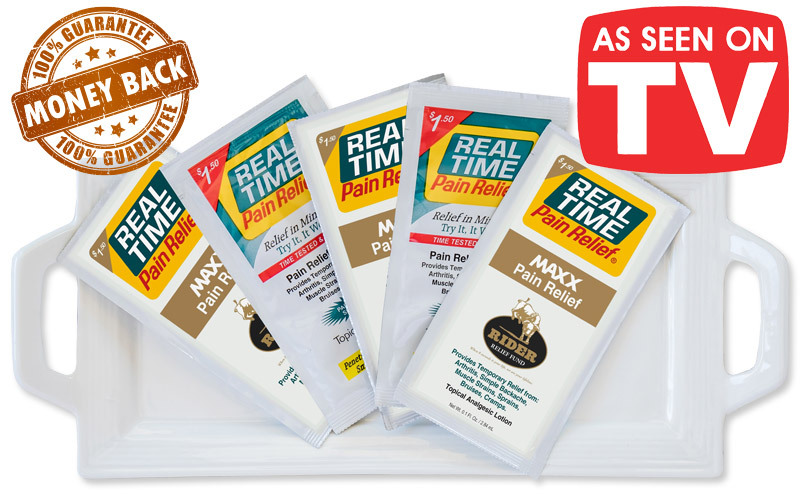 But, since this introductory offer is only available once per customer, Real Time Pain Relief is also offering you a chance to try some of our other best selling products. Select the offer that's best for you, but you can only choose one! These are limited time offers, and they're only available on this page. While other companies promise that their pain relief product is the best at relieving pain, we want to actually prove it to you first. That’s why we’re going to let you try the best smelling, most effective topical pain relief product, Real Time Pain Relief, for only a BUCK! 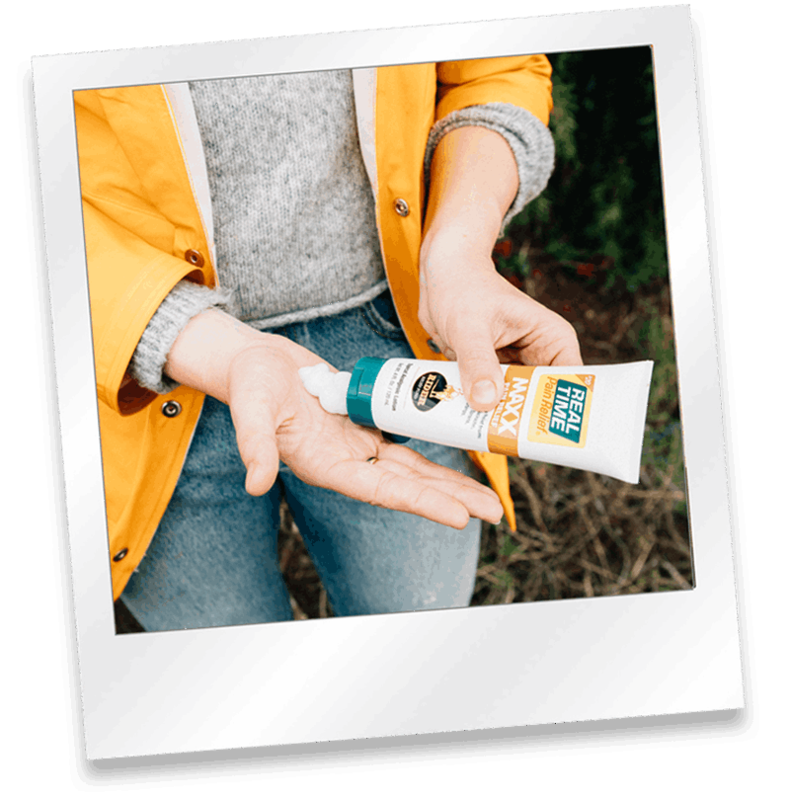 With this offer, you'll receive 3 travel packs of MAXX Pain Relief Cream as well as 2 travel packs of ORIGINAL PAIN Relief Cream- our original and best selling formula! Each travel packet offers handy, single applications of fast, effective pain relief. We even pay the shipping! Get everything in the BETTER OFFER plus two special bonus products! This offer is ONLY available on this webpage for first-time buyers! "I have Rhumatoid Arthritis and this stuff takes away Mr pain. I was shocked. I recommend it to my patients as an otc dream come true..."
"Not Sure What I'd Do Without It..."
"Been using this product for nearly two years now. Not sure what I'd do without it! Ran out a couple of weeks ago and tried some over the counter items. Waste of money! Didn't even come close to what Real Time Pain Relief does! Can't thank you enough!" "I did not believe that RTPR would do anything for the pain I have had for years, but I am amazed at how fast and effective this product is. I have been able to move and sleep pain free for the first time in a long time. Thank you, RTPR." "This product is amazing! Best pain relief product out there! Don't waste your money on anything else. It worked so well for me, I shared it with my sweet 84 year old mom-in-law. She LOVES it!!!" 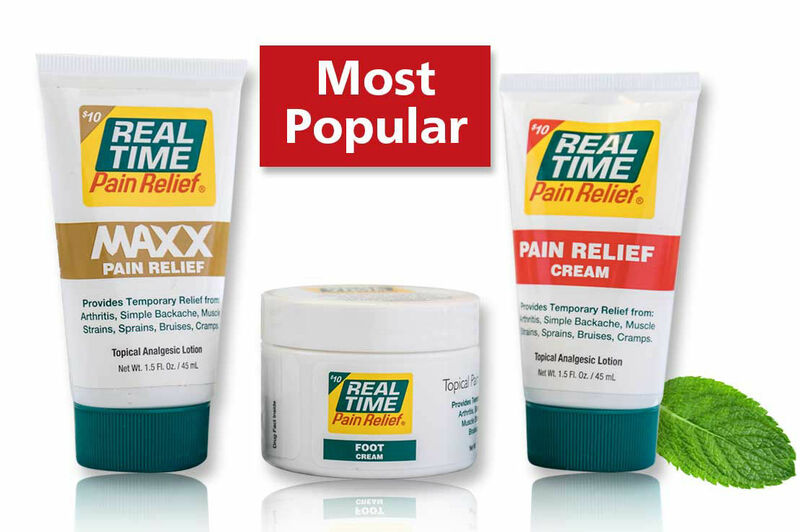 In 1998, our family business started out with one pain relief product- Original PAIN Relief Cream. At first we made it for family and friends. They loved it so much that they started sharing it with others! 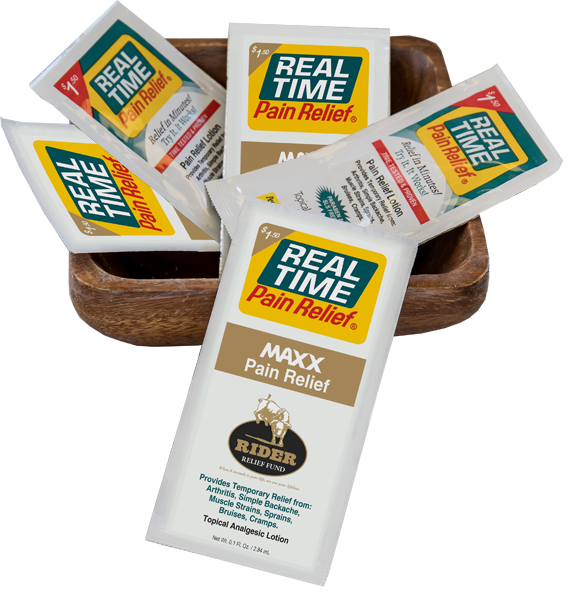 Real Time Pain Relief provides relief and it does it quickly. This is why we have such a loyal following from our customers. We don’t want our family, friends, or customers using dangerous ingredients like parabens, NSAIDs, acetaminophen, SLS, or artificial dyes. 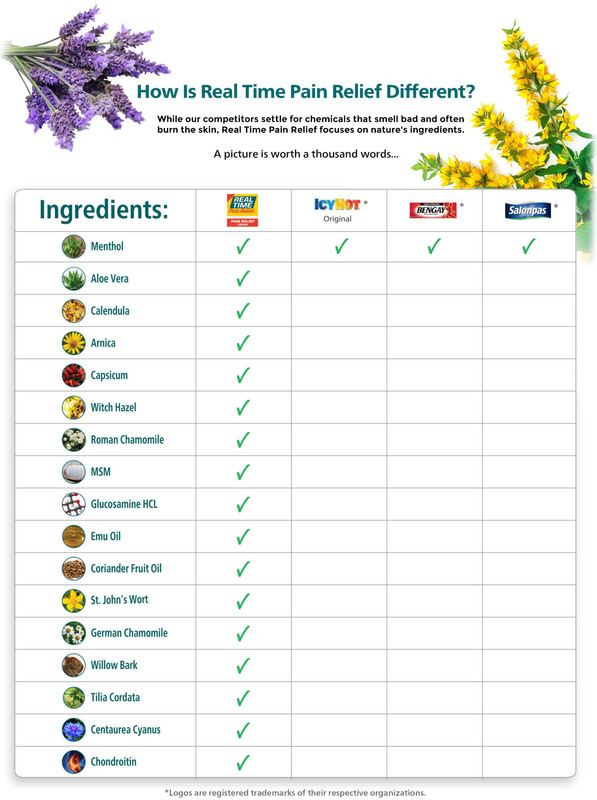 There are no strong medicinal smells like you’ll find in other products. 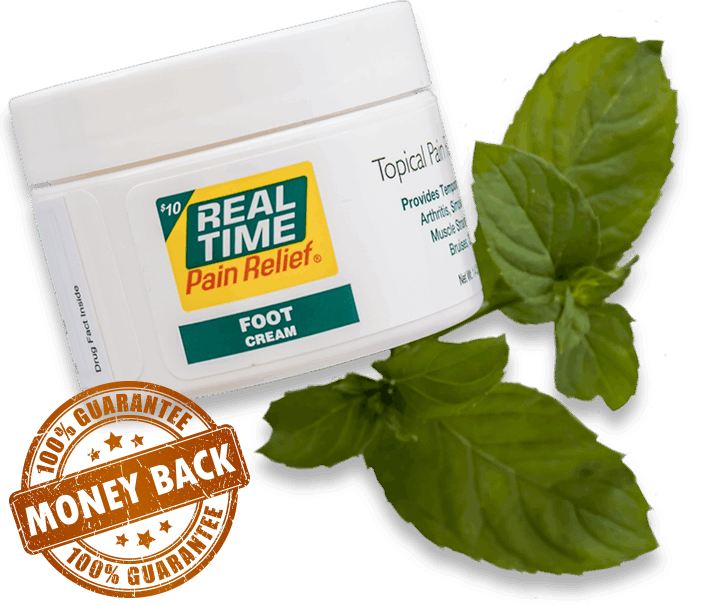 Real Time Pain Relief has a mild and pleasant aroma that starts to fade after a few minutes. 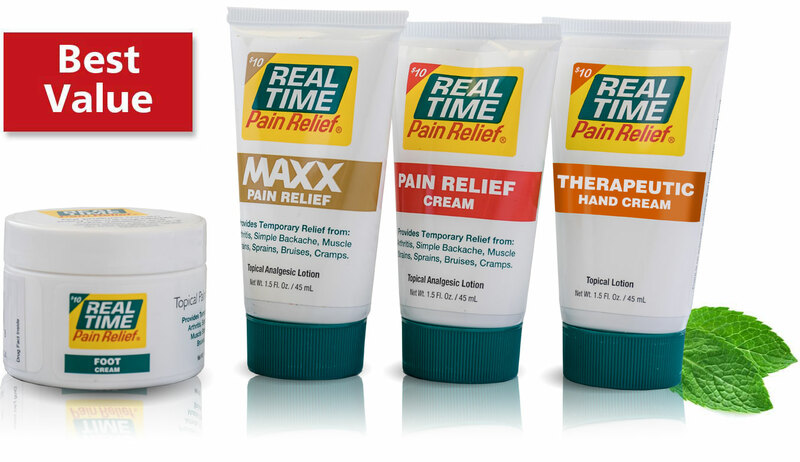 Whether you suffer from muscle pain, bruises, cramps, or arthritis, Real Time Pain Relief will relieve your pain! 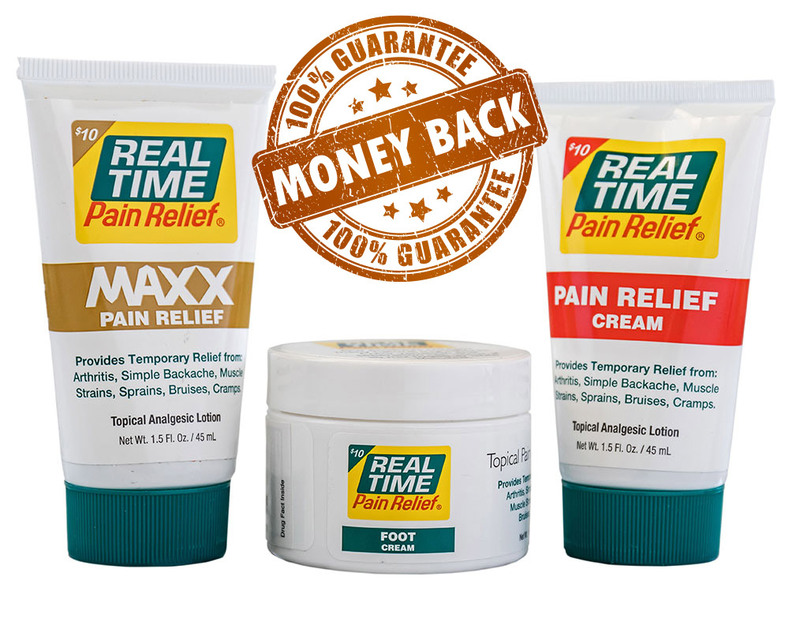 This is your chance to try Real Time Pain Relief for only a Buck... we will even pay the shipping! When you’re in pain, you just want it to stop—right away. You don’t have time to rest or use topicals that don’t touch the pain. So we’re making it easy for you to finally get some pain relief. Take advantage of our Pain Relief for Only a Buck offer and next time that you’re in pain you’ll have fast-acting pain relief on hand. 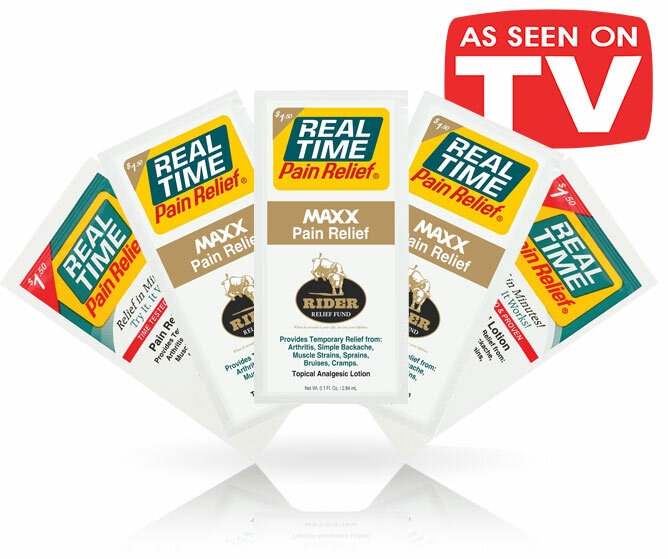 For the past 20 years, Real Time Pain Relief has provided topical pain relief options that are nothing short of life changing. Why? Because Real Time Pain Relief works fast to provide targeted pain relief for arthritis, muscle strains, bruises, cramps, and more! From our website to Facebook and Google, thousands of Real Time Pain Relief customers have shared satisfied testimonials about using our products. 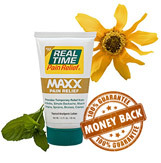 Our original formula, PAIN Relief Cream, alone has a rating of 4.5/5 stars on Amazon with over 500 reviews. You can also check out our Twitter and Facebook page to see how we’ve helped ease our customers’ pains. Are you wondering why we’re doing such an unbelievably good offer? That is just the way that we’ve always done business. We’ve been a sample-to-sell company from day one. We only want you to spend your hard-earned money on something that actually works for you. We prefer to let people see and feel the relief of Real Time Pain Relief for themselves before they buy. This try and then buy philosophy is what made us a multimillion-dollar company—even before we ran our first ad. Why even charge a buck? In today’s day and age, we want to be sure we are shipping to a human and not computer robots. When it comes to pain relief, we are passionate about creating maximum relief without using harsh chemicals common to topical pain relief products like: parabens, NASAIDs, acetaminophen, SLS, and artificial dye. That is why we select the very best of nature’s ingredients for Real Time Pain Relief products. It is also why our formulators often take years of testing and sampling to create inspired formulas that target your specific pain relief needs. We’re so confident that you are going to love our pain relief cream, that we’ll send you your money back if you don’t like it. In the rare case that it didn’t help and you want a refund, just ship us back the rest of the product and we’ll refund your purchase. * It’s that simple and risk free. The best part of this offer is that there are no strings attached. You won’t be charged or shipped anything else after this one-time purchase. This is a limited time offer and we’re not sure how long we’ll keep it running. Order now so you don’t miss out on your chance to get pain relief for only a buck!